Courtyard By Aline’s brass and copper crockery is a tribute to vintage and traditional Indian culture and we love everything! 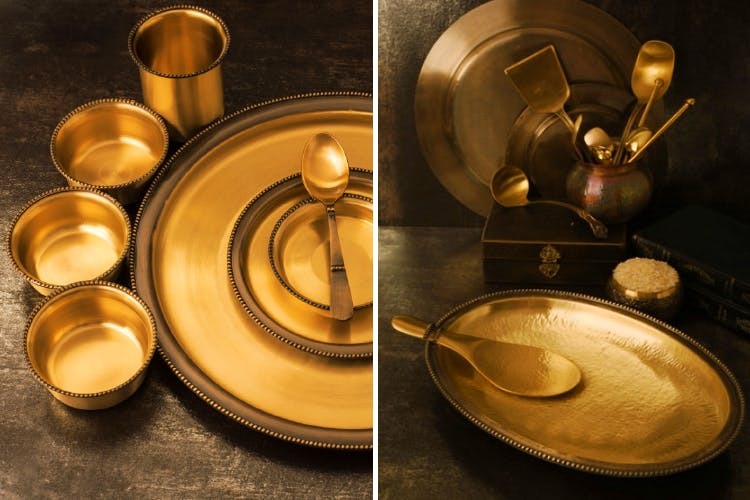 Their USP is creating old-school brass, copper, bronze and silver tableware as well as decor items and we love the rustic feel of everything that they sell. We wish life was as simple, beautiful and old-school as most of their stuff is. Courtyard By Aline also has a unique collection of lamps and you can check out their stuff here and here and place your orders now. The website is hard to navigate, and in our experience, a number of products weren't listed. It'd be better to go and check out their Noida store in-person for a better shopping experience.